Fabrice Tourre testifies before the Senate at a hearing on the role of investment banks during the financial crisis in 2010. Tourre will join Northwestern's economics department as a research fellow. 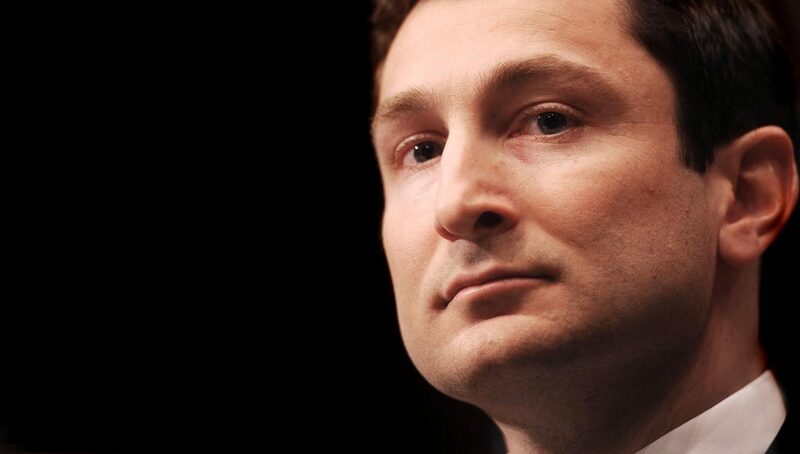 Ex-Goldman Sachs Group trader Fabrice Tourre, who was sued for his involvement in a major Wall Street deal linked to the 2008 financial crisis, will start as a post-doctoral research fellow in economics at Northwestern this fall. In March 2014, Tourre was ordered by a U.S. district court judge to pay more than $825,000 after a jury found him liable for misleading investors in an infamous 2007 mortgage deal called Abacus. The U.S. Securities and Exchange Commission sued Goldman Sachs and Tourre in 2010, and Goldman Sachs settled the case without admitting wrongdoing while Tourre continued to dispute the SEC’s claims. Known as “Fabulous Fab,” a nickname that arose in an email cited in the SEC suit, Tourre is one of the few bankers connected to the financial crisis who was held individually responsible in court. Tourre began pursuing a Ph.D. in economics at the University of Chicago in 2011 and is scheduled to complete it this month. Although Tourre was slated to teach an undergraduate economics class at UChicago in spring 2014, the University cancelled the plan without clear explanation, according to the Chicago Maroon. Tourre told The Daily in an email that the one-year fellowship, which does not include teaching, will focus on macroeconomics and finance. University spokesman Al Cubbage confirmed that the position is paid and said it was awarded by faculty in the economics department, who chose Tourre because they believe he is a “good student” and a “valuable addition to the department.” Economics Prof. Lawrence Christiano, chair of the department, deferred to Cubbage for comment. Tourre was sued for misleading investors and omitting information about a deal tied to the performance of subprime residential mortgage-backed securities, according to the complaint filed by the SEC in 2010. The key undisclosed information was that the hedge fund Paulson and Co. was betting the deal would fail. In a page on his website, Tourre discloses information about the civil trial related to his work at Goldman Sachs. Tourre — who could not be reached via phone by the time of publication — wrote that he has paid the penalties in full and decided not to appeal the decision in order to avoid a lengthy rehashing of the trial, instead preferring to devote himself to academics.